Oftentimes just when you are hearing “it can’t be done” we find ourselves stepping aside and getting out of the way while someone is doing it. That’s the nature of impossible. 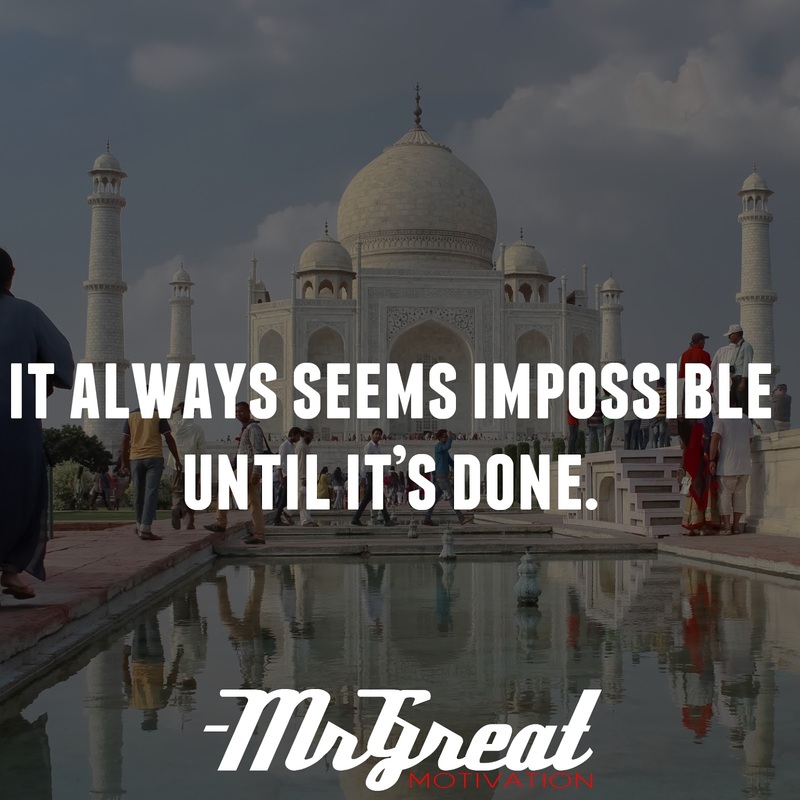 It always seems impossible until it’s done. Seeking out the impossible is human nature. Many people have told themselves or been told something was impossible and it impelled them on to work harder to achieve it. Seeking the impossible is a great way to stand out in your career. You've done it before, and it's important to remember that. It's easy to set up conditions for failure so it's easy to take when you let it happen. 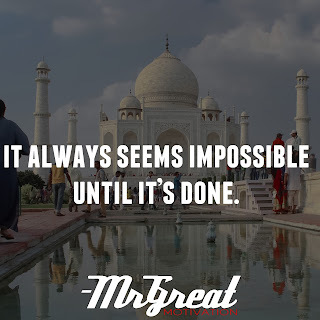 Some tasks only see impossible because you build them up that way. Others seem impossible because they're particularly hard. Either way, the point of a challenge is to conquer it and grow. You can't do that if you concentrate on how difficult it seems. At work, seek out the impossible. Ask about the projects no one wants to do. Then do them, look for the hard problems. They will challenge you, test you and define you. And, the next time you hear someone say. “That’s Impossible!” start looking around for someone doing it. Perhaps that someone will be you. Do It Now. Stay Motivated.